• ETL tested to CSA/UL for wet locations. Available with Rain Screen Spacer. 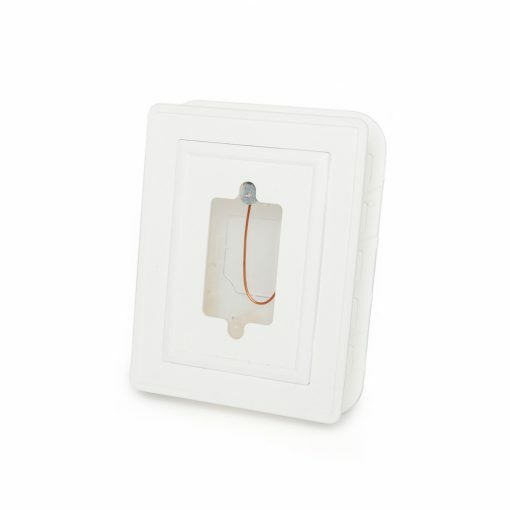 What’s the best way to eliminate the possibility of moisture intrusion into the wall at exterior lights and plugs? Simple: just eliminate the hole! 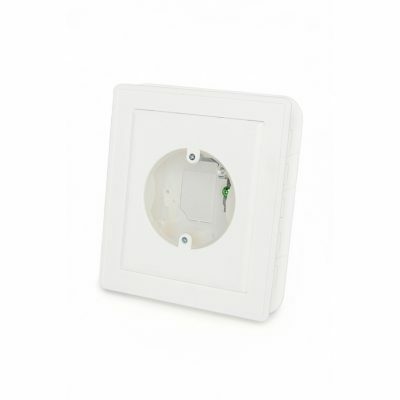 Traditionally, exterior electrical boxes are fastened to a stud in an opening through the sheathing. The electrical box itself is a large opening in the air/moisture barrier (a violation of the NBC). In an effort to eliminate this hole, professionals have used spray foam, flashing tape, and other products, all of which are costly, labor-intensive and prone to improper installation. OAB puts the electrical box OUTSIDE the air/moisture barrier! Since the only penetration through the sheathing and air/moisture barrier is a 3/4” hole for the wire to pass through, it can be 100% sealed with caulking. It saves time and money while eliminating the potential for future problems. Another plus: OAB can be mounted anywhere! Because is mounted to the sheathing, not to a stud, placement can be “fine tuned” with much more flexibility than an in wall box.